This is the third time a dragon has showed up in one of my paintings and it continues to make me uncomfortable. The best way I can explain the discomfort is that the value of rational, scientific thinking as the only valid type of information gathering was such a central part of my upbringing that the consideration of the mythic is often accompanied by shame. Not that I can remember ever being taught that we could ponder outside the constraints of our minds, that was a later discovery that came with meditation. I discovered that I could enter a space/state of mind that lies underneath the mind chatter, and access a knowing that often is just the kind I need with a given problem that, as Jung would say, “my mind had wrestled with in vain”. My early conditioning in the devaluation of all things outside the realm of logical thinking kicks in to judge the arrival of a fantastical creature. The past two years I have added The Art of Allowing, which is a simultaneously improvisational and contemplative way to paint, to my commitment to practice mindfulness in all kinds of different ways. I find enriching my practice to include moments of life outside of the cushion/sitting, only deepens it. I have found that some of my favorite pieces come when I am teaching others, as I seem to be less attached to the result. I will often pick up an old layered canvas that hadn’t gone anywhere and use it to demonstrate the proportions of a face as well as the shading that adds it dimensionality. When I start a piece for myself with a particular agenda in mind I seem to be tighter, more attached to a satisfactory result. When I am doing a face as a demo, I am utterly free and lose as my primary purpose is to show that any and all mistakes can be corrected, that in fact there are no mistakes: we either like what unfolds and build upon it, or don’t like it and change it. Another important difference in using an old canvas is what the previous layers add to the painting that are hard to describe. It isn’t logical that layers underneath that are covered up and won’t be seen actually add to a painting, but they do. Sometimes it is because of texture, sometimes the layering adds dimension, and other times it is purely energetic. It is as if a painting wants our sweat and tears, our trial and errors, which is proof of our commitment to the process, our dedication to the practice of the art, and most importantly, our patience to let the Creative Force work in its own timeline. The prominent paradigm of our current culture, to get things done with speed and efficiency shows up and I find myself getting impatient with how long a painting takes to come into being through this contemplative practice. Impatience is equally prevalent and inefficient in healing yet insurance companies and people alike want quick fixes to all ailments. We force hurt muscles to heal prematurely because athletes and dancers have to get back in the game or the show must go on. Hurt psyches have to get back to functioning quickly because jobs await our full capacity and cannot tolerate a traumatized or a grieving psyche. I had once asked a wise man, a seasoned therapist, what advice he would offer young therapists. His answer was that we should know that the psyche moves at glacial speeds and that therefore the most important quality to foster in a therapist was patience. The more I paint, the more I recognize the value of patience as it really is the gateway to healing and true knowing, not only the factual kind, but the kind that is transformational. So, I allowed the dragon to come forth alongside her disproportionately large eyes that seem to be in awe of what it is to reside in the heart of a dragon. Just looking at her wonderment made me want to know more. And as synchronicity would have it, I happened upon Ursula K. Le Guin’s blog on fantasy in her book No Time to Spare, where she describes the subversive yet important role of imaginative literature. She says that fantasy doesn’t mean anything goes, which would be irresponsible, but rather that it is about it doesn’t have to be the way it is referring to our thoughts, beliefs, and everything that flows from that. Fantasy gets the abomination treatment from religious fundamentalists whose rigid reality-constructs shudder at contact with questioning, and the nonsense treatment from pragmatic fundamentalist, who want to restrict reality to the immediately perceptible and the immediately profitable. My parents and teachers fall into the third category she clarifies as those who dismiss fantasy less fiercely, but no less judgmentally, with escapism. “Why are things as they are? Must they be as they are? And, What might they be like if they were otherwise? Le Guin argues that to ask the questions is to admit the contingency of reality, or to at least allow that our perception of reality may be incomplete, our interpretation arbitrary or mistaken. The final point Le Guin makes is that there is nothing to fear or worry about fantasy unless we are afraid of the freedom of uncertainty. Yet as a psychotherapist I know that fear is a natural, often automatic response to uncertainty as we have yet to determine whether or not we will be safe. So what then are we to do with feelings of fear that cannot be helped? The answer lies in the big eyes of the girl with the blue hair. I believe that she came forth to remind me of the right attitude/mindset to have as I listen to the heartbeat of the dragon, or any unknown, uncertain situation I might be encountering. She counsels me to replace my fears with curiosity, awe and wonder. Mindfulness has been teaching us to replace judgment with curiosity for millennia of course, and yet I welcome this reminder. I can imagine remembering this image in a most needed moment, and hope that she might stay with you too. 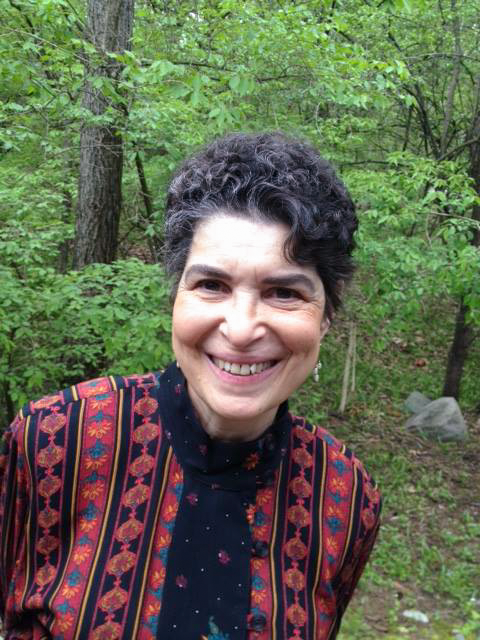 Sibel Ozer is a licensed professional counselor and board-certified art therapist currently doing private practice in downtown Ann Arbor. She started her career as a clinical psychologist working with earthquake survivors in Turkey. She continued her work in the United States in hospice, hospital, and private practice settings further specializing in grief, loss, and trauma. She is a certified EMDR practitioner and a graduate of the Gestalt Institute of Cleveland. She gives experiential workshops nationally and in her country of origin (Turkey) on different art therapy topics. Visit www.sibelozer.com, call (303) 905-1109, or email fireflyarttherapy@gmail.com. I always get a kick out of seeing how startled individuals outside of music studies are when they learn that the vast majority of music majors in America graduate with little, or more often, no skills in the primary creative processes of improvisation and composition, nor in the African American musical heritage that is arguably America’s primary cultural contribution to the world.